Spanish cuisine is possibly one of my absolute favourites. I love a paella and I love tapas and the whole casual sharing approach to dining that comes with it. There’s just something so indulgent and feast-like about have a table full of delicious plates of food for everyone to tuck into. With no set courses you can luxuriously take your time over sampling a bit of this and a bit of that and not feel rushed to move on or even order a few more dishes if something else takes your fancy. This is my kind of dining. When I took my sister out for dinner to celebrate her buying her first home, La Rueda on Clapham High Street was the obvious choice for us. We first discovered this restaurant the day I helped my sister move into the area and we wanted something to fill our bellies after a long day of lugging around boxes. Not knowing Clapham very well, on venturing out we were, at first, uninspired by all the usual high street chains. Then we stumbled upon La Rueda. Nothing can really keep any member of my family away from a tapas restaurant, we love the stuff. Ever since, my sister has become a regular. 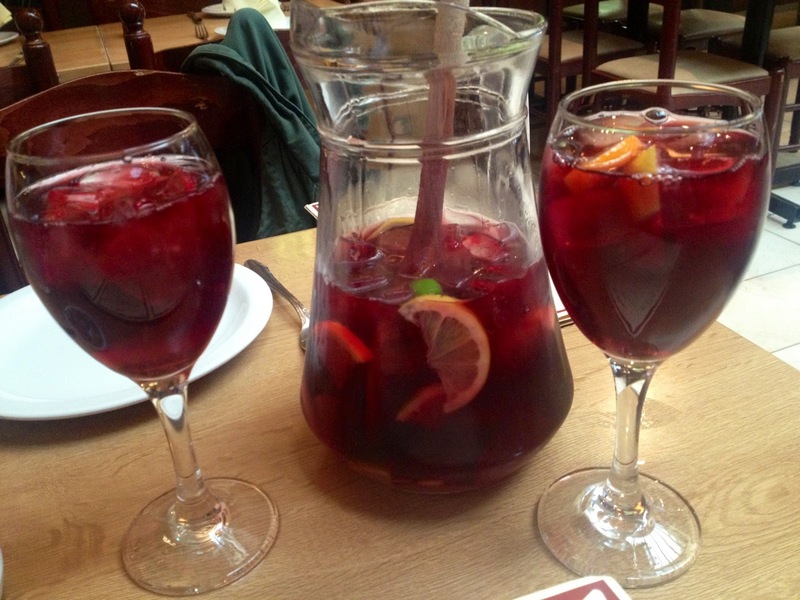 Last week we kicked things off with a jug of Sangria, fruity, drinkable and very reasonably priced at £12.95 for a large jug. It’s always hard to know how much to order when having tapas but you can always order more as you go along so if in doubt I’d advise to start of small. We ended up having six dishes between us which turned out to be the perfect amount. 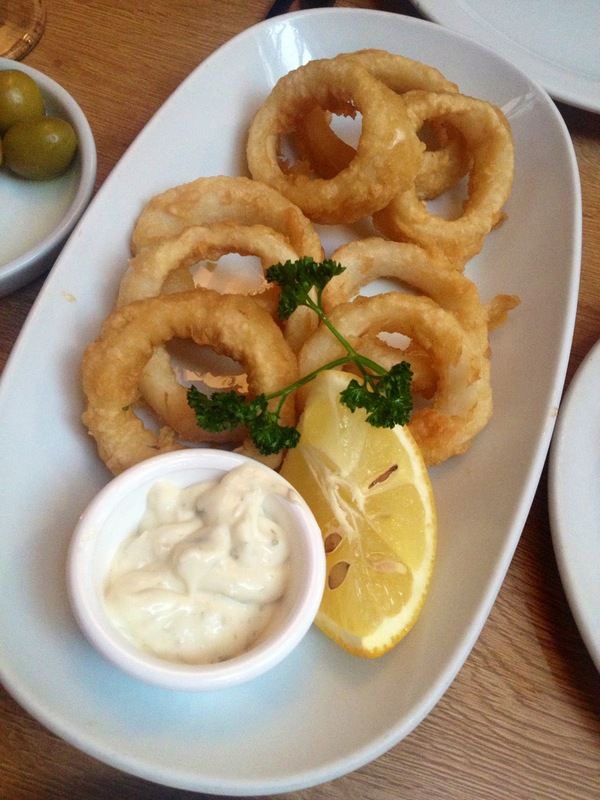 Let us begin with one of my favourites: calamari. I can’t get enough of the stuff. It’s rare that if I see it on a menu I won’t order it, but I’ll admit it is a very hit and miss dish. Done badly or without the freshest of ingredients it can be tough, rubbery and tasteless. Suffice to say his was not the case at La Rueda. The squid was soft and delicious, served classically with tartare sauce and a wedge of lemon. Absolutely delicious. This could be my favourite dish of the evening, but it had stiff competition from the lamb. 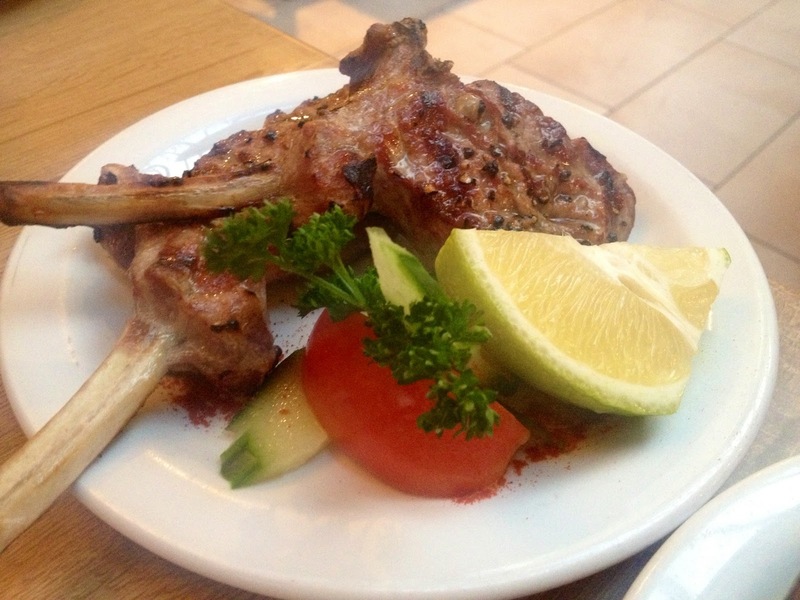 The lamb cutlets are ordered individually at La Rueda. It’s not usually the kind of dish I’d order but Amy insisted and I’m really glad she did. The cutlets were delicately spiced, perfectly cooked and had loads of meat on them. I’ll be ordering these again. 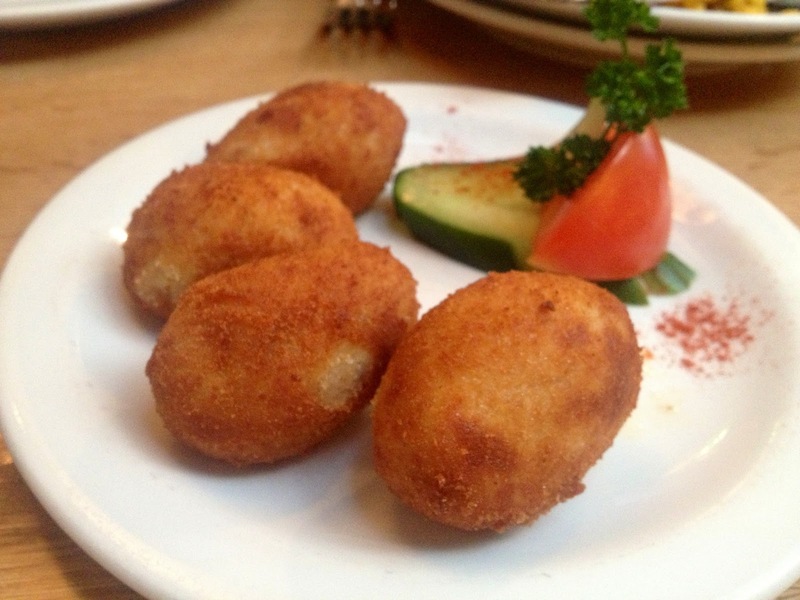 Two things I always tend to order when I’m having tapas are croquetas (potato croquettes) and garlic mushrooms. 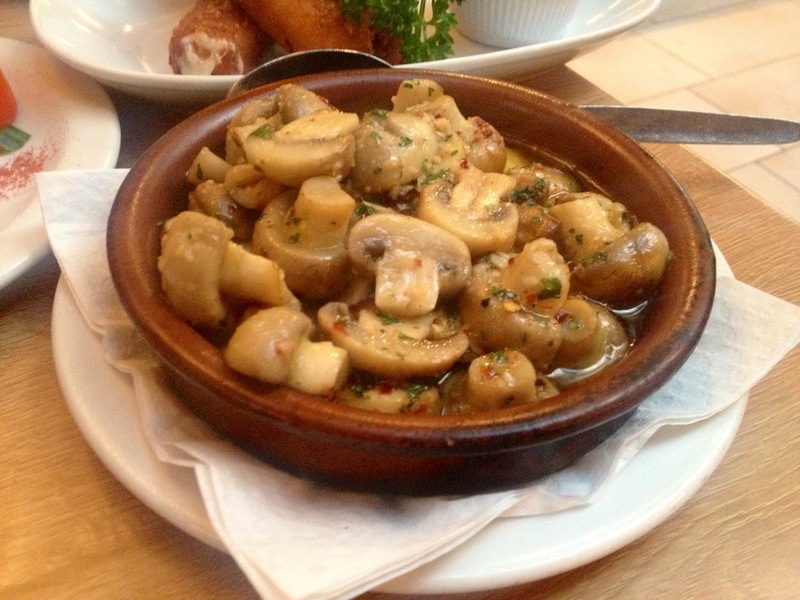 Garlic and mushrooms are two of my favourite ingredients and you’d be hard pushed to do this wrong, plus at La Rueda, there’s lots of yummy garlic oil left in the dish for dipping bread in. The croquetas were nice and soft and smooth on the inside and crispy on the outside as they should be. It would have been nice if these came with a sauce for dipping but I guess with all the other dishes and dips this isn’t really necessary. 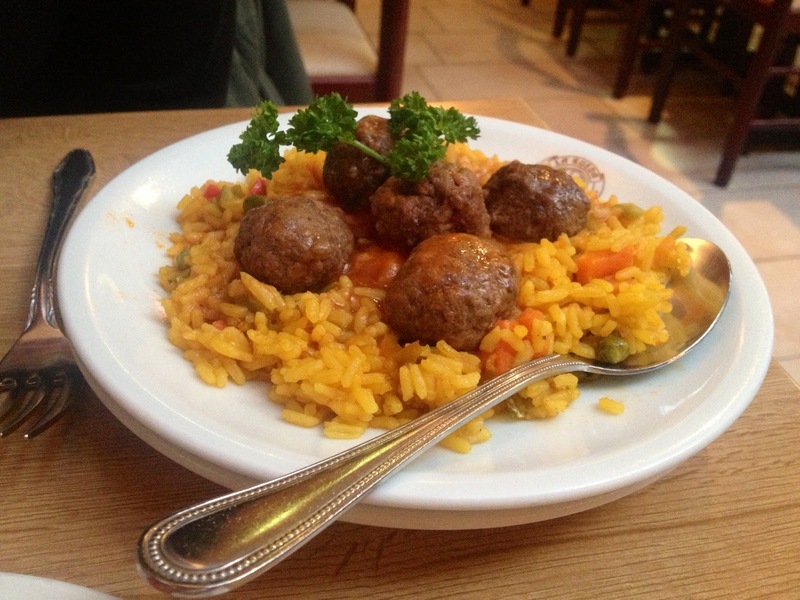 Next up: albóndigas, which are Spanish style meatballs served in a spicy tomato sauce. Here they came on a bed of paella style rice, which was a bonus. These meatballs could have been a bit juicier for my personal taste, but perfectly nice and I loved the rice which I hadn’t been expecting. Last but by no means least, a really naughty treat: queso frito (fried cheese)! This is served with a cranberry dipping sauce. 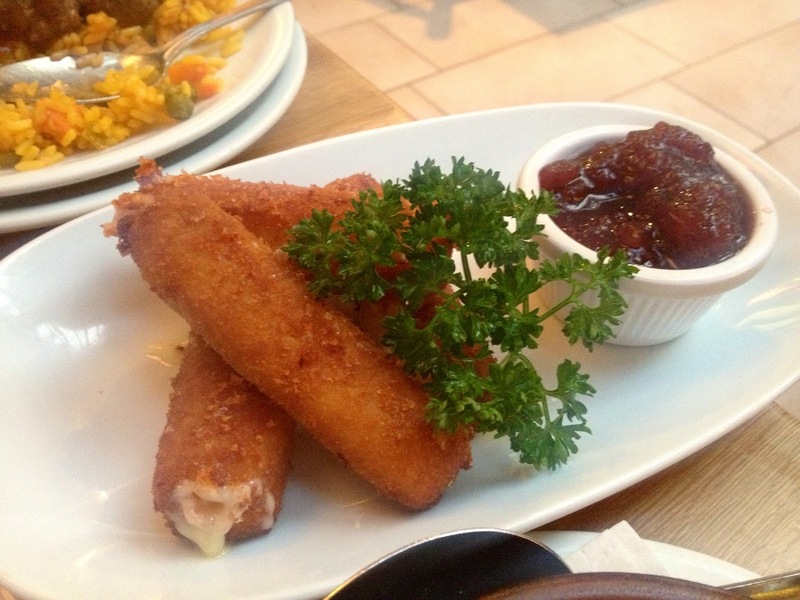 Deep fried in breadcrumbs you can’t really beat a stick of gooey runny cheesy goodness can you…? Scrumptious! La Rueda has been on my list of regular favourites for a while now, so I’m glad I got to share it with you here on the blog. Great food, great noisy, friendly, casual restaurant, so authentically Spanish and really reasonably priced. I know I’ll be back many times, I hope you will be too. Please go and visit.